Not so much Green, as brown… and dead. For a few brief months, their star shone bright. Bob Brown, Christine Milne, Sarah Hansen-Young and their band of environmental ideologues basked in the limelight of being junior partner in a coalition of convenience with a desperate minority Labor government. With their grubby hands finally on the levers of power, the Australian people were treated to a staggering display of ignorance, ineptitude, naiveté, extreme green dogma and ivory-tower logic that was quite the spectacle. In doing so, Labor’s support from its blue collar power base evaporated, allowing Tony Abbott to win government last September in a landslide. “The Greens are a separate, different, independent political force whose views and ideology are contrary to the views and ideology of the labour movement. Mr Howes said the Tasmanian experience, and the failure of the federal power-sharing agreement between the Greens and the Gillard government struck in 2010, showed the Greens were “not trustworthy”. He took particular aim at Mr McKim for publicly undermining investment in mining projects in the Tarkine region and the proposed Tamar Valley pulp mill. “Nick McKim has behaved atrociously during his time in that cabinet and hasn’t acted like a normal member of any other cabinet,” Mr Howes said. I suppose we should be glad that some in the Labor party have come to their senses. Now, however, we can delight in watching the Greens wither and shrivel as they retreat to the political irrelevancy to which they belong. Theirs is a failed ultra-left agenda which is completely at odds with the views of the vast majority of the Australian people – the exception being inner-city urban trendoids who rarely leave the cosy surroundings of Brunswick or Ultimo and have no understanding of the real environmental issues that the country faces. And if that weren’t galling enough, on a global scale, the Green movement is losing at every turn. Harsh realities, to which the ivory-tower-bound Greens are oblivious, such as the need to keep the lights on in many European countries, has resulted in a rapid return to cheap, dependable coal, over expensive and unreliable wind and solar, ensuring that emissions will continue to rise. Not only that, but massive expansion in coal production in both India and China over the next few decades will ensure that extremist environmental dogma will slip further into the dustbin of history. The Australian has a lengthy article on the subject here. Of course, we should all aim to use finite resources sparingly, avoid despoiling the environment, conserve water – these are all common sense actions any reasonable person would take. However, crippling our economies with pointless “weather taxes”, depriving the world’s poorest of a cheap source of energy, and subsidising inefficient, expensive and unreliable renewables is not what people (or governments, it seems) want. The Greens are feeling the sharp end of those sentiments right now. One fact the greens fail to ever comprehend is that the wealthier a society is the better it treats the environment. Of course the general rule is that the greens inhabit a parallel universe where ideology trumps reality. For the rest of us we have to live in the real world. The greens only got in last time because they were exempt from scrutiny while the other two parties were in a bit of a lull. As soon as they were scrutinised they showed their true (red) colours. They will all but disappear this year. 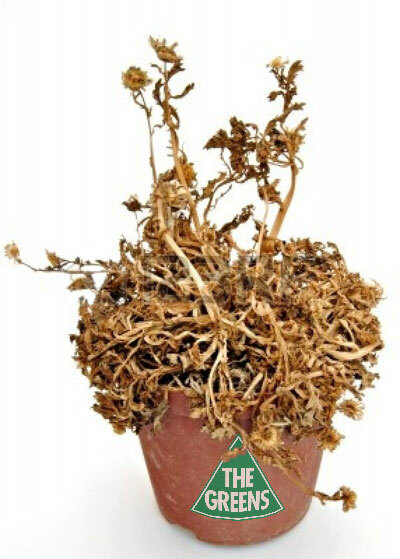 Sorry, but as long as Labor block the death of the CO2 tax and RET, they are still tied by the umbilical to the Greens. Forget the Labor people coming to their senses. Nothing to do with that. It’s all about winning (and keeping) power. Pursuing what the public opinion polls are highlighting. As one famous Party member once said, “If it gets down to the logic or the numbers, give me the numbers every time”. Joy to the world, the Greens are on their way to Oblivion praise be. Pity they have been the cause of so much anguish and pain all over the world.All that remains now for the Abbott government to do is to wipe everything green off the statute books and allow some common sense to rule the day. Renewable subsidies must be the one of the early removals as these are the only profits those companies make. Tasmania Labor knows that their alliance with the Greens will lead them to electoral defeat at the next Tasmanian state elections but with any luck that won’t save them from defeat. There is no denying that the Labor/Green alliance has stunted growth in Tasmania which has lead to Tasmania being in recession, the only state to record negative growth for the 2012-13 financial year, at -0.6 %. The sooner the Greens are removed from Tasmanian state politics the sooner the state can begin to recover. The Greens in Germany are also on their way out. Another question to Down Under: Do you have CHEMTRAILS in your country? Those are the everlasting contrails . You’re all dreaming if you think a bunch of religious hysterics are going to “wither and shrivel as they retreat to the political irrelevancy to which they belong”. Look for them to react appropriately, a la Clausewitz. Thank god we adults may finally prevail over these evil unicorn riding weather wimps. When it’s cold, you don’t need to lobby government …… get a good coat and hat and get back to work. When it’s hot, wear a T-shirt, shorts and sandals and get back to work. No one controls the climate anymore than anyone controls me. This is a freedom issue and has nothing to do with climate …. I will not be a slave to plant food or climate nazis. 1) First is the most obvious Green scam, as detailed above; they’re all “watermelons” > green on the outside, permanently red on the inside, and incapable of rational thought or action. 2) Second and much less obvious (worldwide) is leftist fervour for “proportional representation” elections, where it only takes VERY FEW “green” second choices to wield DISproportionate minority views upon the vast majority of a nation/state/province. Free nations MUST stop “proportional representation” and revert back to “first past the post” elected representatives or democratic nations will be haunted by a tiny handful of these leftist loons forever. Dave the problem is not with our preferential system as that does have many advantages, the problem with ‘first past the post’ is that when that system is used and there are many candidates for each seat, then the winner may win, but with only 20% of the primary vote, and that is clearly no good, the issue with Preferential is that people do not make sure that they fully understand where there second choice vote will go, many persons do not understand the deal that the parties do and that their vote is electing someone that they did not intend to vote for, so the Parties have to work harder so that is better understood, we have just had some senators elected over here and they got less than 5% the primary vote but they got many preference votes and got over the line, educating the voters needs to be done better. N…..Porportional representation is just another facet of the liberal/socialist mantra of “winning is evil”. Just as they attempt to eliminate posting scores in children’s athletic events they want to loser in a political race to be allowed to win anyway. Like anything in life (at least the way our society operates) to the winner goes the spoils. So what if someone wins with 20% of the vote. If the liberal/socialists want to fight over their supporters let them…..and let them remain as the loser. Because once they win we see the damage they cause with their delusional approach to governing. Even children participating in a sport where scores aren’t kept know when they have won or when they have lost….only idiotic adults who think they are protecting them don’t understand. Allowing such adults to translate “everyone’s a winner” mentality to adult situations is dangerous. Australia has now seen just how dangerous it is. In Canada, the population (majority) want no part of proportional representation, yet the liberal/socialists keep promoting it. This is their usual playbook. Keep spouting something that isn’t true (as in Canadians want PR) until everyone believes the lie. People should always be free to vote for whoever they want, but it’d be nice if they had an idea about what it means to fill in a whole ballot paper, and spent some time thinking about / researching the candidates. Going to start attacking the new government’s climate change policy anytime soon? Or is the real point of this blog just to denigrate the Labor/Greens side of politics? One thing at a time Glen, The big problem that the new Government has regarding Green issues is that they, Green issues that is, well the Green lie has been sold so well that many parties in Politics are now worried that if they don’t look Greenish then they cannot get Green votes and cannot get elected, still I agree with you if you are saying that much of the Green agenda should be scrapped, I hope that it is all scrapped..
No, the Coalition climate change policy is just as pointless, but in terms of damage done to Australia, it is nothing by comparison to the carbon dioxide tax/ETS. It’s a feel-good handout to the tree-huggers and yoghurt-knitters, but as N points out, it is still so politically incorrect to publicly question global warming dogma, thanks to the alarmists branding such legitimate inquiry as “denial”, that Abbott is scared to do so. , Our traditional standards, and customs are being set at nought, in the interests of “multiculturalism”, The International structure being advised by international economists and Bankers, is the same one recommended by Mr I.V. Lenin as the World Socialist Economic Structure, before “we+ have the World Political Structure, BOTH of which are recommended by the International Banking structure!. Do you get the picture? Do you recall the Dictatorship of the Prolotariat? How much dictating did it do? you are all the reason that I love this Country, intelligent people standing up for what they believe in, it is a sight to see. With first past the post, you just have to encourage people not to vote or threaten them and their families and so arrange for only 20% of the people to vote, then with 11% of the possible votes you can control the show. Only in theory, Robert, but not in reality. If only 20% of eligible voters actually bother to vote, then the non-voters (consciously or unconsciously) don’t much care who wins and can live with any / all of the candidates winning. Choosing NOT to vote is just as valid a choice as choosing to vote, whether “proportional rep” fans like it or not. I’ve learned from living / working / paying taxes in Canada, Japan, and the U.S. + travelling to over 30 other countries (so far), that the left everywhere is passionately in love with theories (ie – global warming or manmade climate change; income redistribution; the myth of governmental bureaucratic ‘competence’; etc.) and the left remains almost totally immune to real world facts / evidence that refutes their theories. IF a tiny percentage of ELIGIBLE voters put a scoundrel in power in a free, democratic election then at the NEXT election there would be massive voter turnout … that may not be your theory, but it has been my experienced reality for many years in 3 free democracies like Australia. Proportional rep benefits losers who failed to “make their case” well enough to win.